SIRANE’S Earthpouch – the first plastic-free and fully recyclable food packaging pouch – is selling well, and we can now supply film for flow-wrap. The Earthpouch was launched in the new year – with Troofoods the first brand to use the new material – and a range of brands have since switched their packaging to the Earthpouch, including a number of companies overseas. Simon Balderson, Sirane MD, said: “Earthpouch is proving very popular on the market, as companies are looking for environmentally-friendly packaging. As the Earthpouch is recyclable with the paper stream, it ticks a lot of boxes. “We have been shortlisted for the UK Packaging Awards in London in the resource-efficient packaging category in November and were also finalists in the Sustainable Packaging Awards in Amsterdam earlier in the year. Not only are customers turning to the Earthpouch, but we’re also starting to get industry recognition. At present we have standard and barrier pouches/films, with high barrier available soon – meaning it is suitable for a wide range of potential products. Earthfilm allows the same material to be supplied for flow-wrap use. 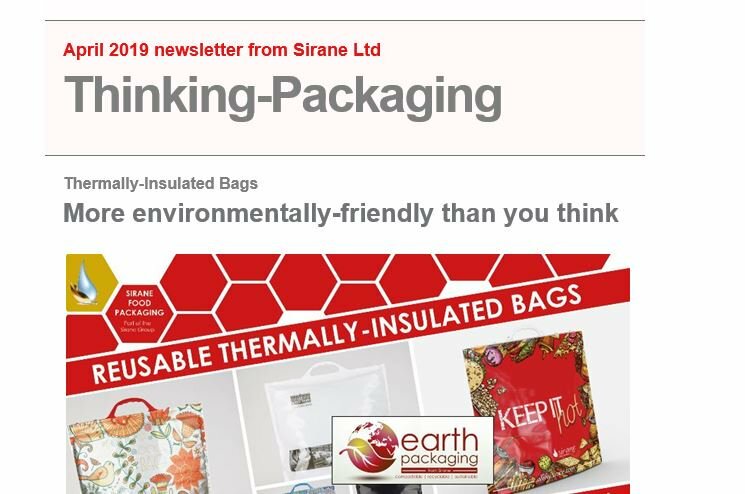 The Earthpouch & Earthfilm are just two of a range of compostable/recyclable products and packaging solutions Sirane has developed over the years – and they are all included in our Earth packaging range, which is constantly evolving. Earth Packaging also includes Earthpads – compostable and/or recyclable absorbent pads, as well as products such as recyclable plant pots. We’ve also recently added the M7 pouch-filling line – a single or dual-head pouch packaging line which is compatible with the Earthpouch as well as other formats. The M7 is high-speed and low-cost and is the perfect solution for anyone interested in the Earthpouch, but not sure how they would pack the pouches.